Kiev army will continue military operation against the country’s east until the situation in the region stabilizes, says Ukraine’s Defense Minister. 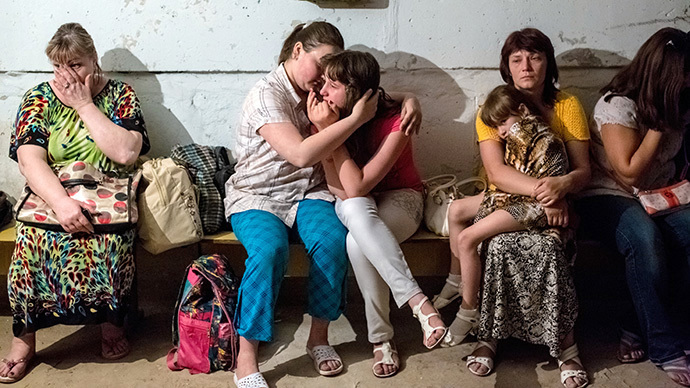 Kiev government has launched a massive military offensive in the east of Ukraine which claimed dozens of lives, both among the militias and local civilians. Schools, kindergarten and hospitals in several cities came under fire. "We will work until the region begins live and function normally and people will get peace,” said acting Defense Minister Mikhail Koval during a briefing. He added that the south and west of Donetsk Region and the north of Lugansk region have been ‘freed’ during the military operations in the Ukrainian east. Koval said that more than 20 Ukrainian soldiers have been killed during the Kiev crackdown in eastern Ukraine. Meanwhile, according to officials from the People’s Republic of Donetsk, over 100 people have been killed during the offensives. An RT report showed more horror suffered by innocent civilians from Ukraine’s eastern region of Donetsk, who were shelled in Kiev’s so-called “anti-terrorist” operation. 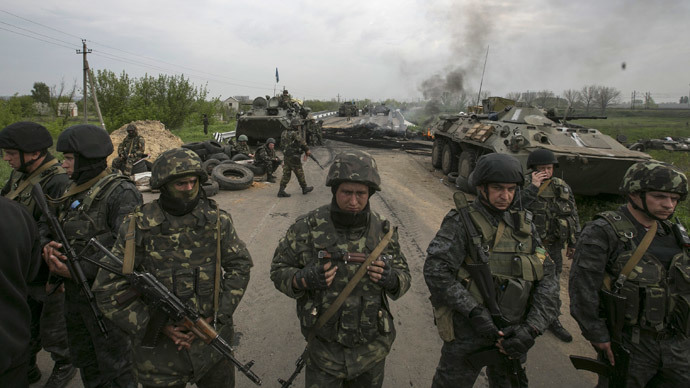 Kiev troops have intensified military operations on eastern Ukraine since April. 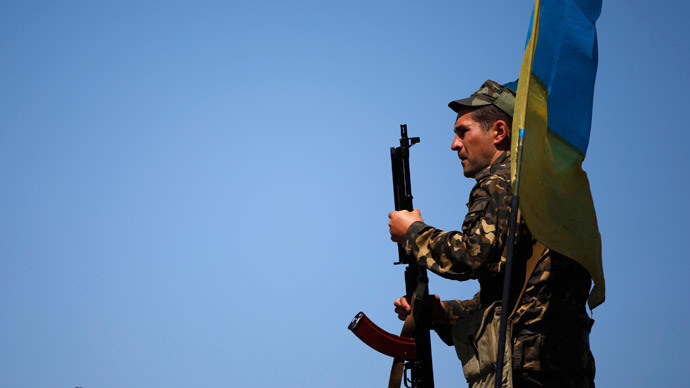 They are using artillery and aviation in a bid to take control of the restive region. 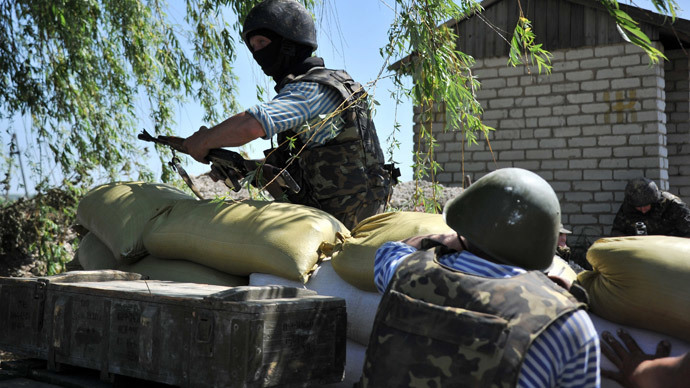 On Friday, Kiev forces renewed the shelling on Slavyansk, in the Donetsk region, residents there told RT. The militia targeted a local children's hospital and a clinic. 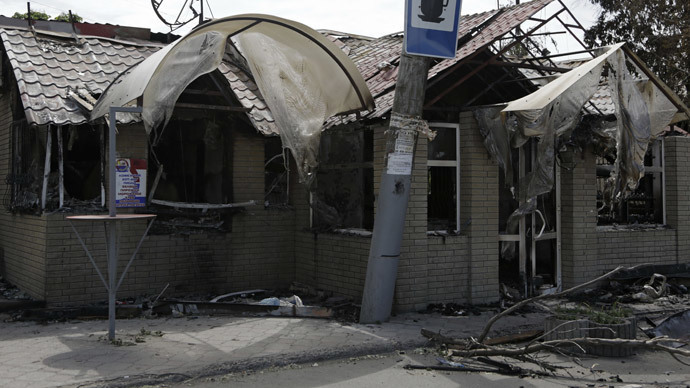 On Wednesday, a school and kindergarten in Slavyansk were also hit by mortar shells. According to a schoolteacher interviewed by RT, part of the roof over the school hall “was simply blown away.” Luckily, no children were in the hall when they heard a loud explosion, and those present were quickly evacuated to the basement. Meanwhile, in the kindergarten at least 9 civilians were injured, including a 4-year old boy, reported the Rossiya-24 channel. UN High Commissioner for Human Rights Navi Pillay said on Wednesday that Kiev should refrain from using excessive force in Ukraine. “I call on the Ukrainian authorities to ensure that no excessive force is used, not to take discriminatory action and to avoid action that can harm the civilian population,” the official told Itar-Tass.